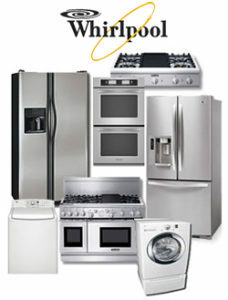 Area Appliance Service repairs and services almost EVERY top residential appliance brand. When it comes to Whirlpool appliances however, we are the authority in the industry. We repair thousands of Whirlpool washers, dryers, refrigerators, freezers, stoves, and ovens every year. We offer in-home Whirlpool repair service for domestic appliance applications within your home or condo. Call us now at (847) 459-8070 to speak with a live representative, never a machine. You may also fill out our short form online and we’ll get back to you as soon as possible. If you need help deciding to repair or replace your machine, we can help also before any repairs start. Area Appliance services Buffalo Grove, IL and Arlington Heights, IL, including all the nearby suburbs. Where there’s a broken Whirlpool appliance, there’s a company who cares. We’ve been servicing Whirlpool machines for over 58 years. Fully licensed, bonded, and insured! We DO NOT service or repair Whirlpool manufacturer’s warranty work. If you would like to get manufacturer’s warranty service, please refer to your Whirlpool appliance owner’s manual for their warranty call center. Schedule Service for Your Whirlpool Appliance Today!